Are you still thinking about doing nothing? Or maybe something now? How often have we wished to just do nothing? 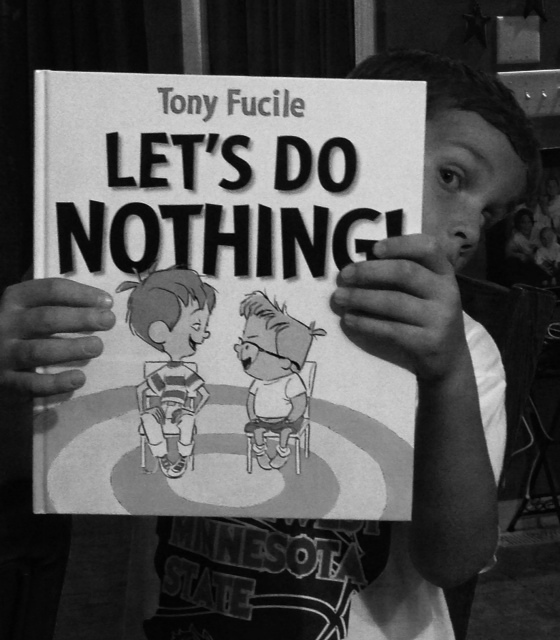 In Tony Fucile’s book, “Let’s Do Nothing,” Sal and Frankie have been busy playing games, reading comic books, and baking cookies (sounds like a great time to us 🙂 ). 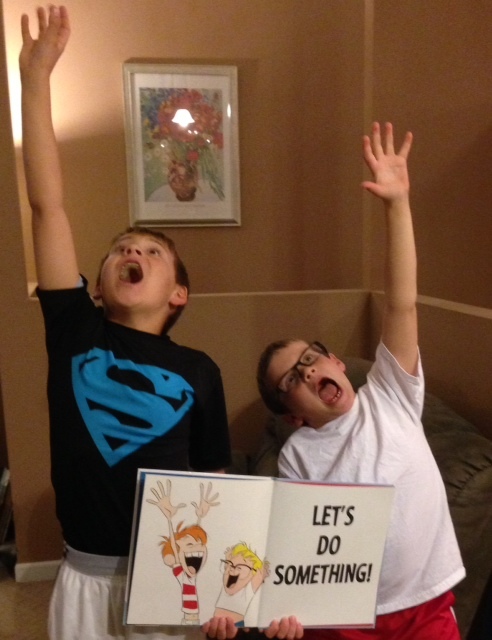 They decide to try a new activity…doing nothing. Frankie is not so good at doing nothing (and neither are we). 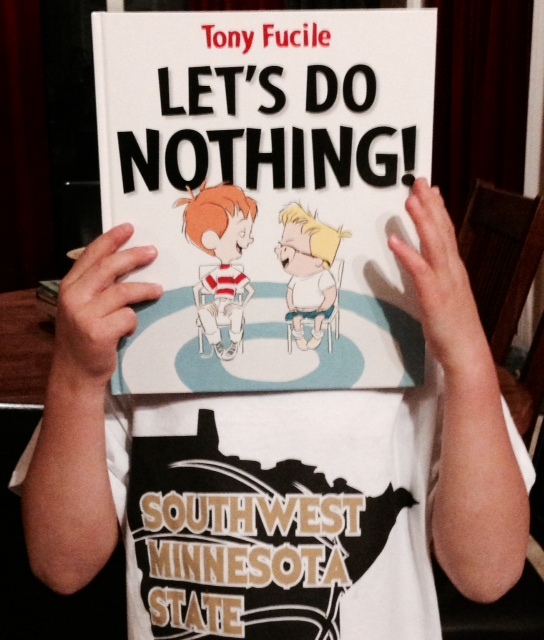 He gives in every time and so Sal has a new suggestion…let’s do something. We can certainly relate to Frankie. We LOVE to be doing something. Hanging out with our children and/or grandchildren. Attending weddings and dancing the The Cupid Shuffle. Volunteering at local community activities. To our former student and friend: BELIEVE that justice will be served and you will soon be doing something. To our colleague and friend: BELIEVE that people mean well, and we guarantee that WE will do something for those who are grieving. Well, it’s time for us to go do something now. Until next time, do something or do nothing – however you want to approach it. Just promise us to do it well. BELIEVE and best wishes! Profs ~ Dr. C. & Dr. V.